One of my primary goals as the Lucky Manager is to make sure the riders stay connected to the riders. If you’re a pro or an AM or a beginner we all are one community. If I could I would get all the scooter riders in the world together but of course that’s not possible. But to try and give you all the experience I have decided to start the travel diaries: Updates from the many journeys I go on with the dedicated Lucky Scooters Team. I will try my best to make give a good idea of how it really goes down when I am out with the team doing our thing. Hopefully you guys enjoy! Traveling by plane is of course the fastest way to travel but the most annoying. 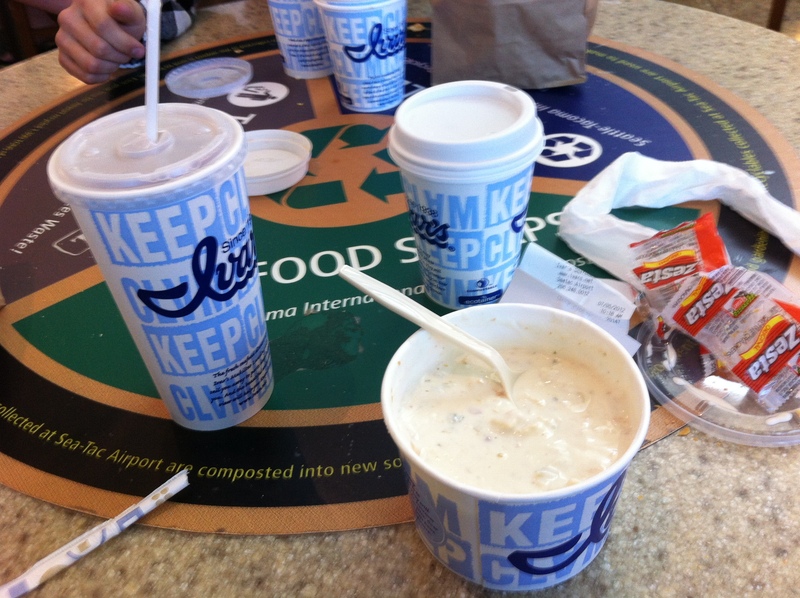 After Standing in a seemingly endless security line we headed straight to our food court to eat up before our flight. Traveling from Seattle to Philadelphia is a five hour flight with a time change so we knew it was going to be late when we arrived and airplane food didn't sound appealing. Right away we headed to Ivars. After getting some grub Blake and I dashed to our gate. We lost track of time and almost missed boarding. Lucky for us we made it. 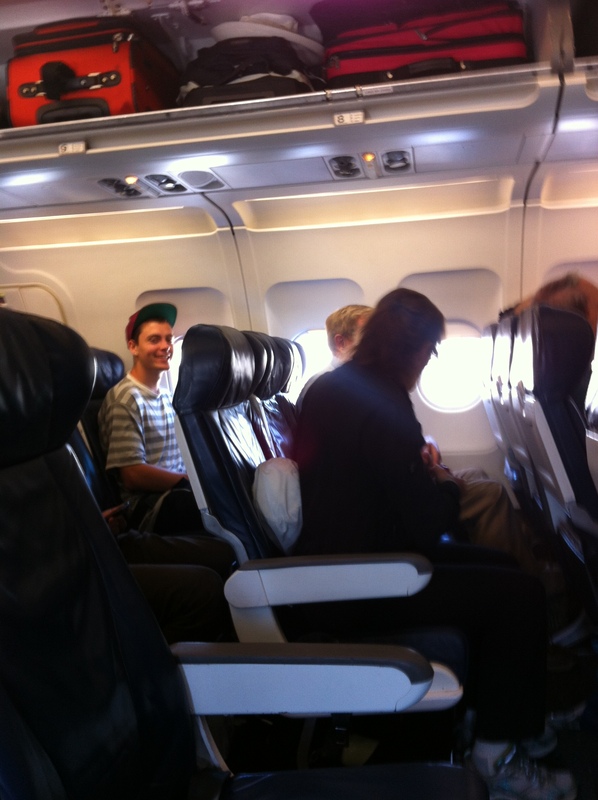 To my surprise I found out I wasn't seated next to Blake; 5 hours of listening to the iPod? I think yes! After what seemed like an eternity on a plane we arrived in Philly! 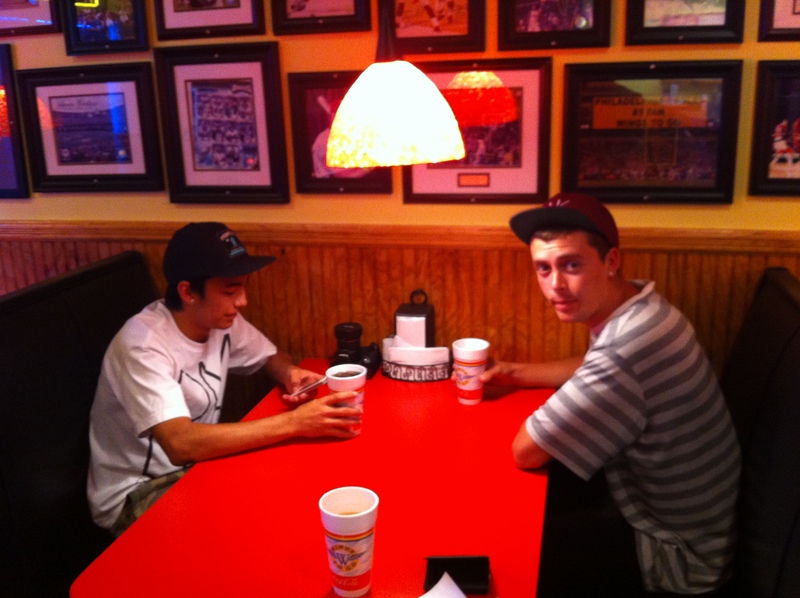 Team mate Tyler Garcia would arrive shortly after and the good times were on their way. After talking it over everyone agreed to that we had to get a Philly cheese steak. Now it was time to get some sleep and get ready for our first official day of riding, our second day of our adventure and to see our first east coast shop. Day 2 Barking Spyder!